Halloween, celebrated on October 31st, is one of those true Celtic traditions that has become a world-wide celebrated occasion. 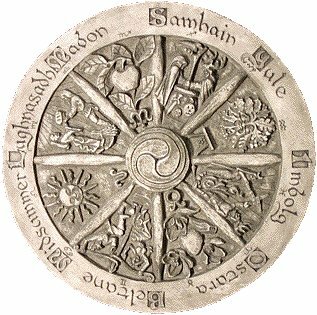 Historically, it is based on the Celtic festival of Samhain which is derived from Old Irish and means roughly "summer's end". With the plantation of Ulster in the early 1600's, the Scottish colonists brought with them the festival of All Hallow's Evening (All Hallows Even') celebrated on the same night and the two traditions merged. This was the night that the souls of the dead were thought to walk the earth and many people believed it a setting for supernatural encounters! I remember how Holy Water was sprinkled on the outhouses, sheds and farm animals to keep them safe during the night and mirrors in our house were covered with sheets so that the poor souls could not enter the living world. 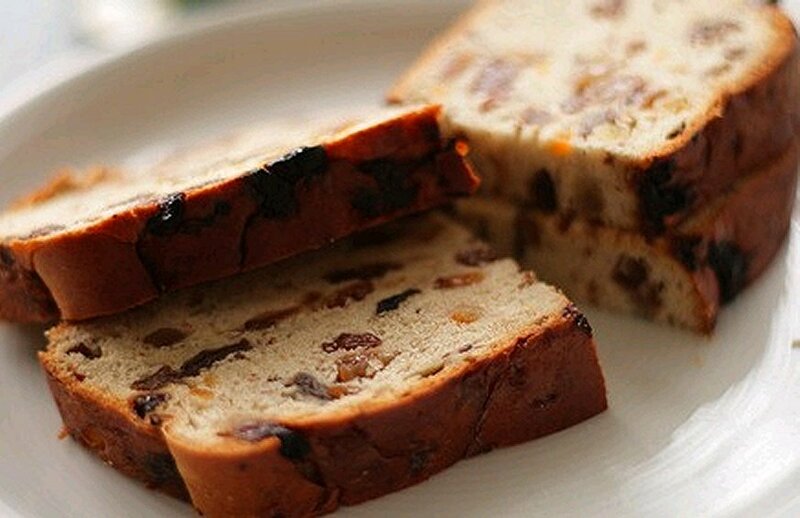 The traditional bread served on the night was the Halloween Barmbrack, meaning speckled cake, which is a sweet fruit bread. The word Barm comes from an old English word, "beorma", meaning yeasty fermented liquor and Brack comes from the Irish word "breac", meaning speckled - which it is with the dried fruit and candied peel. The bracks made with yeast are called "barmbracks" and those that use baking powder and fruit soaked in tea are called "tea bracks". Each member of your family must get a slice and it was always a great treat, to find the penny in the cake as this meant you were going to be rich. Other items buried in the barmbrack are: a ring for the bride-to-be, a thimble for the one who would never marry and a small piece of cloth indicating the one who would be poor. This is the recipe I have used for many years and it makes one loaf. 1. Warm the milk, add the butter and let it melt in the warm milk. 2. Mix the yeast with 1 tablespoon of sugar. Add half the warmed milk mixture. Add the beaten egg. 3. Sift the cinnamon with the flour into a bowl. Make a well in the centre and pour the yeast and liquid mixture into it. Sprinkle a little flour over the liquid and leave it in a warm place for 1/2 hour until yeast froths up. 4. Add in the remainder of the liquid and mix the whole lot into a dough. 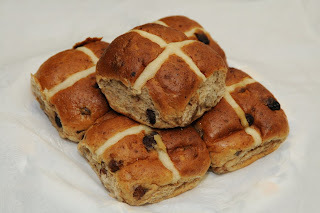 Turn it out onto a floured board and knead the sugar, raisins, currants and chopped peel into the dough. 5. Put the dough into a butter-greased large bowl, cover with clingfilm and leave in a warm place until doubled in size. 6. Knead it back again and then shape into your greased bread tin. Brush the top with melted butter and cover until doubled in bulk again. 7. Bake for 40 minutes in a pre-heated hot oven at 200°C until a skewer inserted into the centre comes out clean. 8. To give it a nice glaze stir 1 tbls sugar into 50ml boiling water and brush this over the top of the loaf when it comes out of the oven and is still hot. 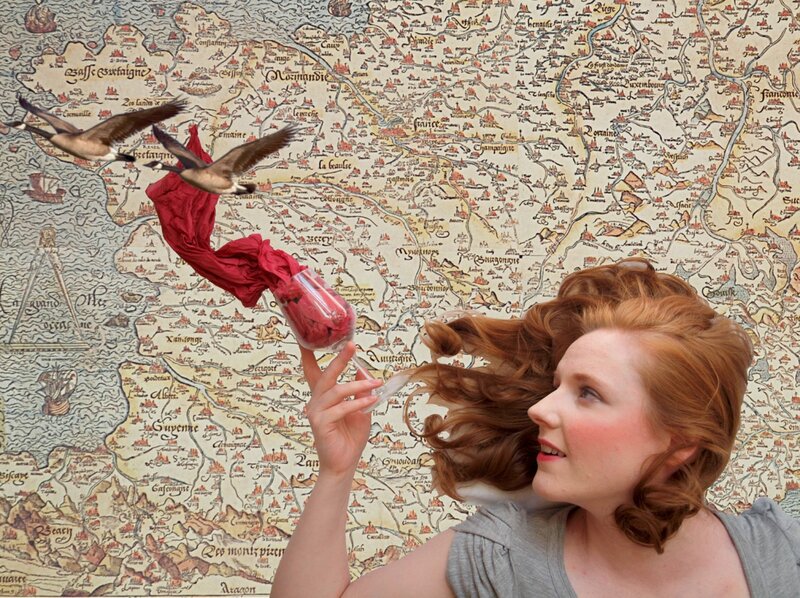 The Wine Goose Chase comes to Portnoo, County Donegal, This Saturday for One Night Only! 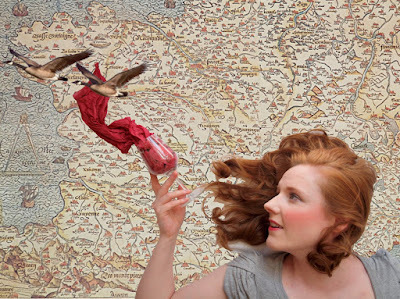 The Wine Goose Chase is a one woman wine theatre show, performed by Susan Boyle, a native of Kildare and it is being performed this Saturday, October 13, 2018 at 7:00pm, in the Dawros Bay House in Portnoo, County Donegal. This amazing hour-long one-woman theatrical performance fuses interactive wine-tasting with storytelling, in the warm intimate setting of the Dawros Bay House, a stone’s throw from the Santa Ana Duguesa wreck, from the Spanish Armada. 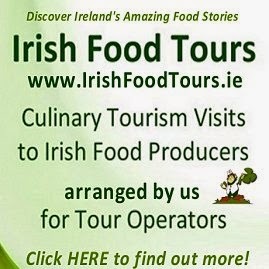 Wine & Drinks consultant, artist and historian, Susan Boyle, will take you on a journey of the best know wines and spirits in the world, that all have an Irish Heritage! Susan Boyle loves wine! What’s more she knows what she’s drinking and talking about and she’s got 2,000 years of Irish wine history to back her up! 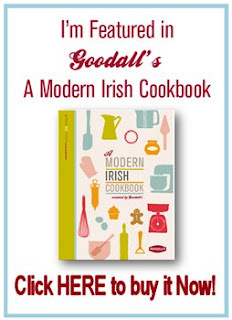 So, sit back, let her pour you a glass while she takes you on a trip with the tenacious Irish people who transformed the wine world and didn’t let coming from a grape-free land stop them! 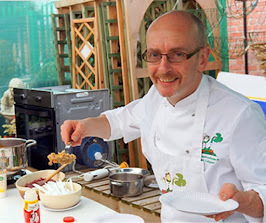 Joe Molloy and family, who own and run the Dawros Bay House, are providing a delicious and specially adapted Wild Atlantic Tapas Menu, to coincide with the theme of the evening. (The show costs only €20 and the option of the food is separate). 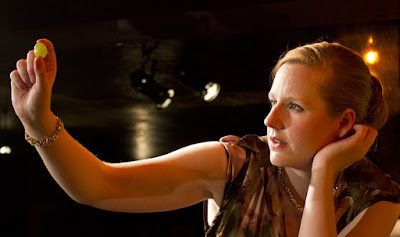 Susan has a BA in Drama and Theatre Studies from Trinity College Dublin and is an Irvine scholarship recipient to the University of California. She continued her drama studies at the University of London Royal Holloway where she gained an MA in Performance Studies. She has been attending professional wine tastings for the past 15 years, has studied up to advanced level with WSET (The International Wine & Spirit Education Trust) and also works as a freelance wine and drinks consultant! 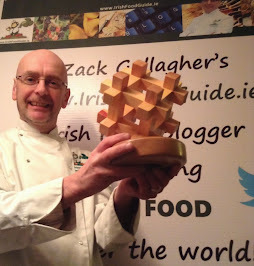 Susan is also one of Failte Ireland's Food Champions. 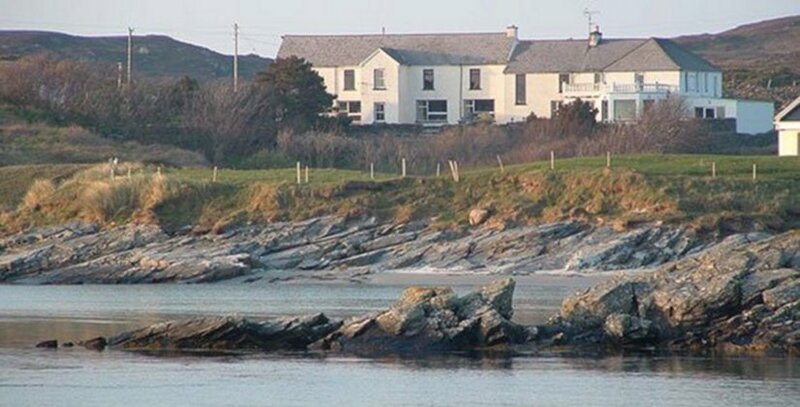 The event is being hosted by the Ardara GAP Heritage and History Group, which aims to research, develop and promote the cultural and built heritage of Ardara and the surrounding areas of south-west Donegal. They are committed to the promotion of existing facilities, expansion and development of areas of geological, geographical, historical, archaeological, and heritage importance etc. in addition to areas of wildlife, natural biodiversity and other areas where themed events can be showcased. The mission of the Ardara GAP Heritage and History Group is to increase awareness and enjoyment of the potential of this area and to foster educational research and development as part of an integrated approach to cultural heritage. They are also one of the five voluntary community groups to be selected by The Heritage Council's 'Adopt a Monument' scheme for the island fortress of Doon Fort. I've seen this wonderful show performed by Susan and I guarantee You Will Love it! Places Are Limited places and pre-booking is essential, so Get Your Ticket Now! See ya there on Saturday!